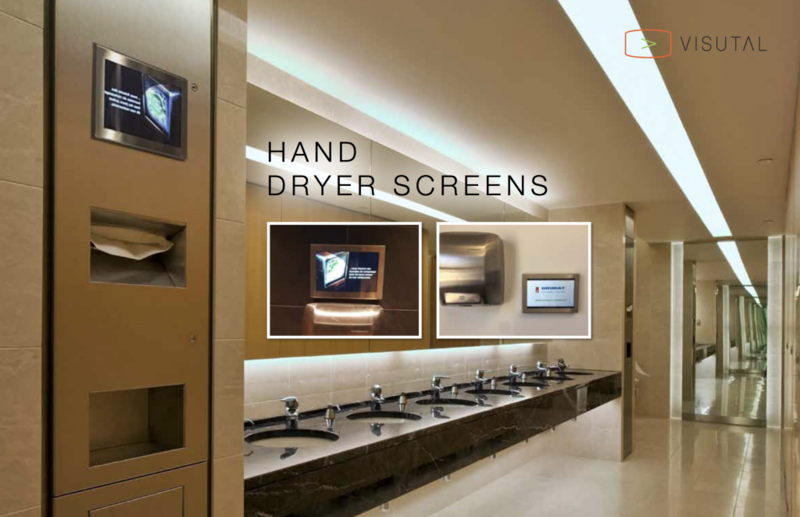 Visutal can be used by a variety of market sectors to demographically target high footfall audiences in male washrooms throughout shopping malls, sports stadia, clubs, bars and tourists locations, to name a few. The screens can be used to promote your own products and services, as well as carrying independent paid for advertising. Visutal is a cloud-based digital advertising system built into multi-media waterless urinals. Using the Visutal technology, advertising clips are streamed to a 6.5-inch screen embedded in each urinal. The screens can be used to promote your own products and services, as well as carrying independent paid-for advertising. Vistual urinals can demographically target high footfall audiences in male washrooms in shopping malls, sports stadia, highway service stations, restaurants, clubs, bars and tourists locations, to name a few. 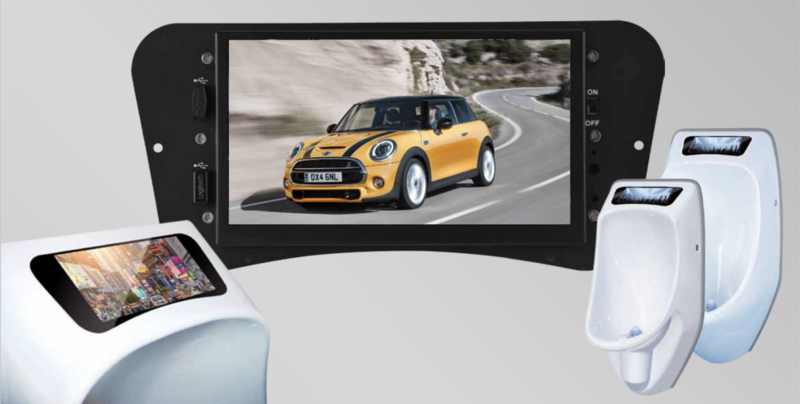 Visutal gives you complete control. You control the number of adverts and the duration of the clips. 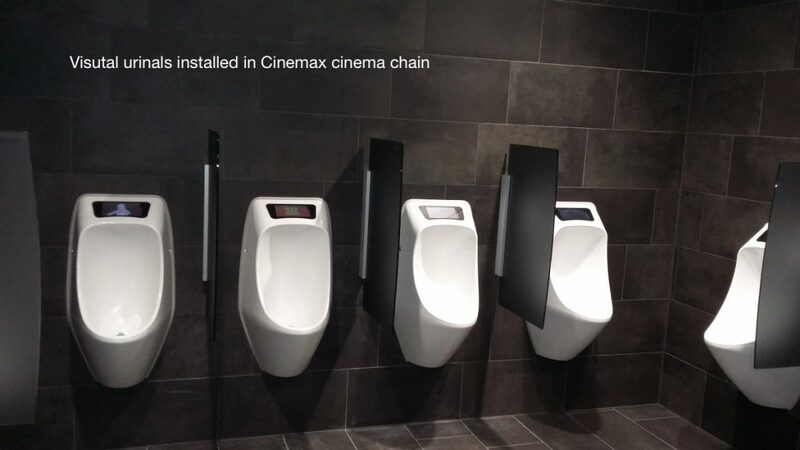 You can timetable changing content and target ads at specific urinals, all remotely via the cloud.